Dr. Henrik Ernstson and Dr. Jia-Ching Chen are organizing an ambitious conference at Stanford on the meeting between environmental scientists, global South urbanists and STS scholar on the “Urban Beyond Measure: Registering Urban Environments of the Global South”, May 8-9, 2015 at Stanford University. Included is also a session on film and photography as environmental humanities response to registers these urban environments beyond measure. Read more on our website. The processes of urbanization in Africa, Asia, the Middle East and Latin America are occurring at the fastest rates in human history. In the context of new cities, ‘megacities’, informal and illegal cities, what people think of as cities—our assumptions about how they develop, what they look like, what they provide and how—is changing in response. 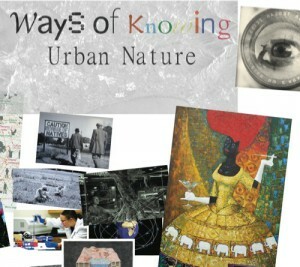 However, there are limits to our methods and theories in understanding these emergent cities. The registers we use to map, measure and code the city into intelligible data only capture certain aspects. In many regards, our scientific means of framing the city and how it is changing is in a process of catching up, leaving us with a sense of the urban beyond measure. In this regard, a meeting between science and urban studies is crucial in order to develop interdisciplinary methods and knowledge, and thinking across disciplines. The conference gathers leading environmental scientists and global South urbanists and political ecologists. Leading environmental scientists and social scientists participating includes, Anne Rademacher, Awadhendra Sharan, Alisa Zomer, Angel Hsu, Garth Myers, Malini Ranganathan, James Ferguson, Jason Corburn, Jenna Davis, Stephen Luby, Perrine Hamel, Timothy Choy. Keynote addresses will be given by Sarah Whatmore and Susan Parnell. Film screening: ONE TABLE TWO ELEPHANTS: A FILM ABOUT WAYS OF KNOWING URBAN NATURE by Jacob von Heland and Henrik Ernstson. This is a conference organized and moderated by Henrik Ernstson (Stanford University) and Jia-Ching Chen (Brown University) under the Urban Beyond Measure initiative at Stanford Anthropology. 8-9 Levinthal Hall at the Stanford Humanities Center.